The man in the Search and Rescue dinghy, clearly an enterprising man, was shuttling boat passengers to and from the island. Victor lent us some Eastern Caribbean dollars so we took him up on the offer. Shortly after gathering our things, we were clambering up the side of a pontoon and I nervously took my first step on Dominican soil. The streets were calm. A taxi here, a car there… I didn’t expect very much to happening on a Friday night at 1:30 AM on a Caribbean island–in Martinique the streets are normally desolate by midnight. As we approached the pinnacle of the hill we were walking up, the sounds of Mr. Vegas rolled over top. “Bruk, bruk, bruk, bruk, bruk, bruk it down…” played from a car. It would appear we were nearing the commotion. Saturday afternoon, we walked around looking for a place to get lunch. 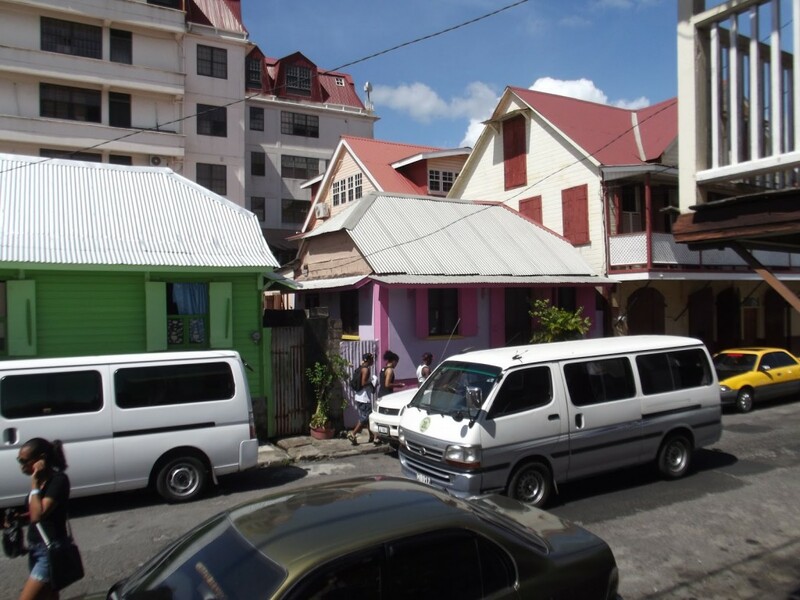 My partner, having been to Dominica twice before, was keen on returning to a restaurant he had eaten at the last time. We walked up a set of stairs that seemed to lead to someone’s house who left their door open. We enter Marloe’s Snackette. In the main room, there were stools, bar tables, a beverage fridge, and a counter with a heating unit for food. Behind the counter stood a friendly and smiley man wearing an apron. On the wall was a chalkboard offering typical Dominican food and drink: Chicken and provision, Fish and provision, Pelau (a chicken and rice curry), Cocoa tea, and a variety of tropical fruit juices. I ordered Chicken and provision, a stewed chicken in a delicious, rich sauce. 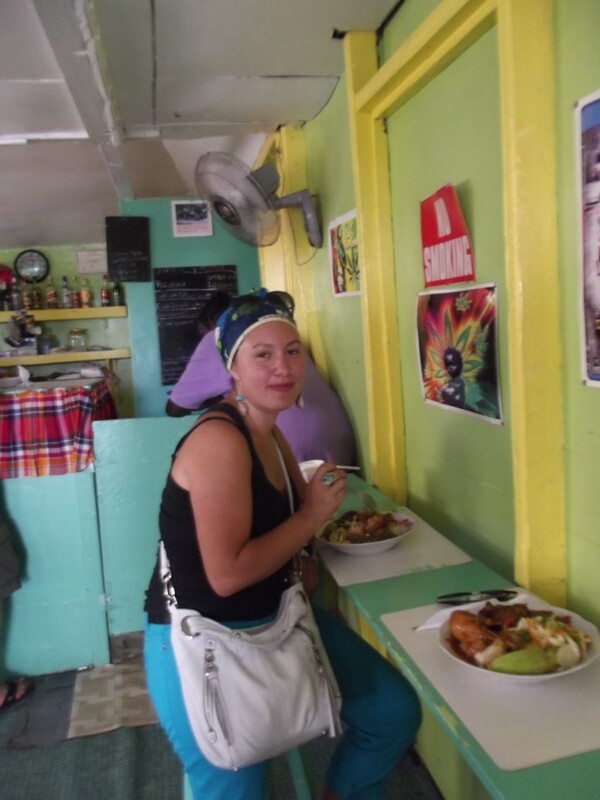 You will understand provisions in a visit to Dominica as it is served with many different meals. Rice, dachine (a root vegetable like potatoes), plantains, green banana, lentils, and salad comprise your island provisions. For $11.50EC, the equivalent of 4€ or $5.20 CAD, I was so full afterwards that walking around was out of the question. The cocoa tea was especially indulgent and so saporous that I had to know how to make it. Walking around Roseau and speaking with people on the street, I remarked two things. Firstly, Canadian banks seem to operate a disproportionate amount of commerce compared with Caribbean banks. No matter where I was in the centre of Roseau, I was within a five minute walk of a Royal Bank of Canada, a Canadian Imperial Bank of Canada, and Scotiabank. Secondly, no matter where you tell a Dominican you’re from–Martinique, the UK, the US, Canada–they all seem to have a connection to that place, either having lived there themselves, having family there or having visited. 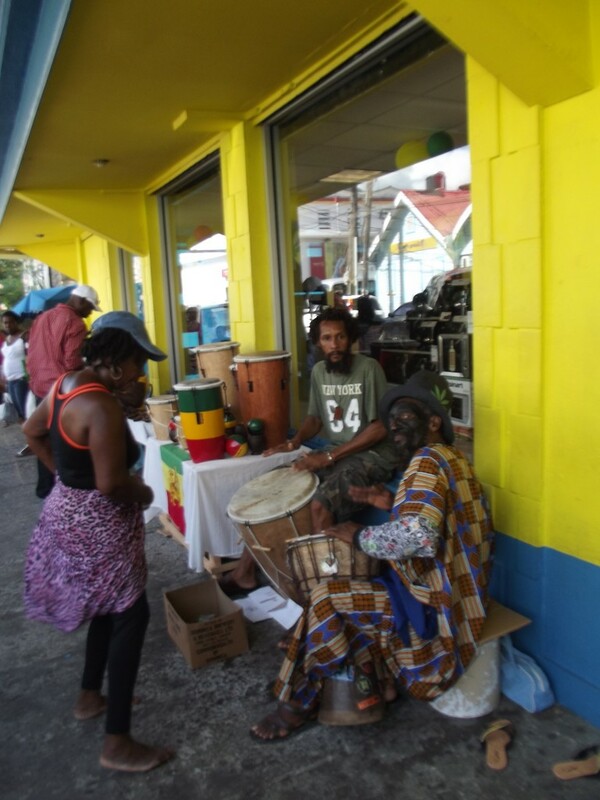 In Dominica, first impressions can be misleading. What is ostensibly someone’s home or a run down shack is really a bar, a store, or a restaurant with delicious authentic food; those who seem unfamiliar can be people with something in common with you. 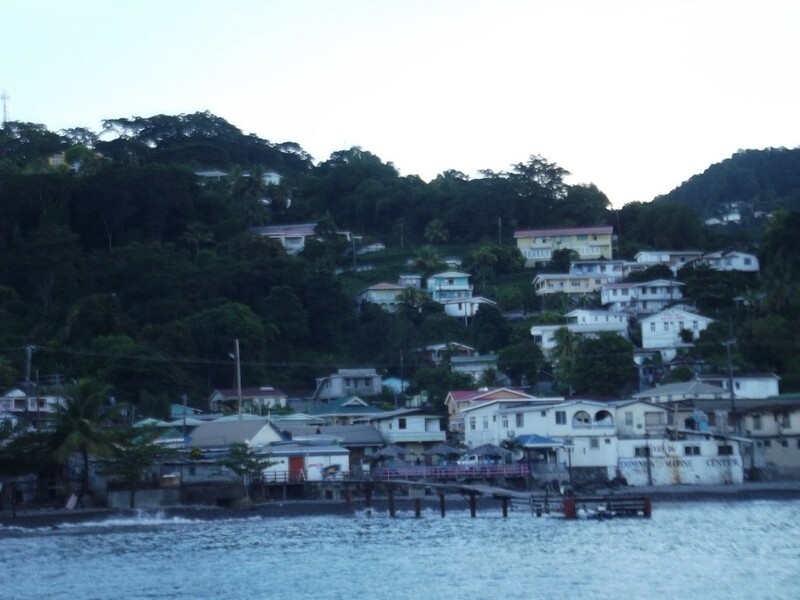 In reality, the two days I spent in Dominica didn’t do the island justice. Based on what I experienced and what I’ve been told about that I haven’t experienced, the only conclusion I can come to is that Dominica certainly deserves more than just a first impression. In a saucepan, bring water to a boil and add cinnamon sticks and bay leaves, reduce heat and cook for 20 minutes. Add cacao, stir, and continue to boil for 10 minutes. Stir in condensed milk, nutmeg, and vanilla. Pour into mugs and enjoy!